UK taxpayers could be liable for a significant share of the North Sea's multi-billion pound decommissioning costs over the next four decades, according to a new study. 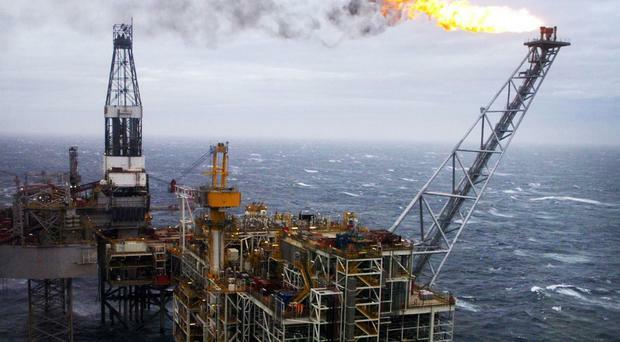 The GMB union said its research into oil and gas fields across the UK Continental Shelf suggested an increasing financial burden will be placed on the Treasury via tax refunds to oil and gas companies. Meanwhile, Scottish Government analysis of fields nearing decommissioning claims their remaining value could increase by more than 50%, or almost half a billion pounds, if there were successful measures to cut costs and boost production. Average costs for North Sea decommissioning expenditure are growing by 14% a year, with the final figure now expected to exceed £100 billion, the GMB report found. The GMB urged the UK and Scottish governments to bring forward an urgent investment programme to get Scottish ports and fabrication yards "decommissioning ready". The union's Scotland Secretary Gary Smith said: "If we don't act fast then it could mean the worst of all worlds: A chance to boost economic and employment prospects gone and the taxpayer paying for the clean-up of the North Sea while other countries profit from decommissioning at our expense. "The taxpayer is sick and tired of dishing out billions of their hard earned money in subsidies to corporations with little to no return, so doing nothing at both the UK and Scottish Government levels by 'leaving it to the market' is simply not an option. "GMB Scotland is very clear that the economic, political and moral arguments for government intervention are compelling and with the Autumn Statement and Scottish Draft Budget on the immediate horizon, the time for politicians to act is now ." Scottish Energy Minister Paul Wheelhouse also urged the UK Government to increase investment following last week's Oil and Gas UK report which called on government to work with industry to attract fresh investment and avoid premature decommissioning. "To illustrate the potential opportunities, Scottish Government analysis of fields nearing decommissioning has identified that the remaining value of these assets could increase by over 50%, or almost half a billion pounds, if there were successful measures to reduce costs and increase production." Lang Banks, director of environmental group WWF Scotland, said: " The GMB are absolutely right to highlight the massive liability facing UK taxpayers in order to clean up the mess left behind by North Sea oil and gas industry. Scottish Labour said both the Scottish and UK governments need to invest in decommissioning.